He was best known for his portrayal of Fr Jack in the TV comedy Father Ted. FRANK KELLY, THE actor who played Father Jack in the comedy Father Ted, has died aged 77. Kelly was best known for his portrayal of the elder priest on Craggy Island, but had a long and varied career. Last October he revealed he was suffering from Parkinson’s disease. In a tragic coincidence, today is the anniversary of the death of his Father Ted co-star Dermot Morgan. He rose to prominence on Wanderly Wagon n 1968 and became a household name in the RTÉ satire Hall’s Pictorial Weekly, which ran from 1971 to 1980. Just hearing from various sources that Frank Kelly has passed away. Terribly sad news. Thanks for everything, Frank. He portrayed councillor Parnell Mooney, a local politician in rural Ireland. He had an uncredited role in The Italian Job, escorting Michael Caine’s character from prison in the opening sequence. After Father Ted, he starred in Glenroe and a number of Irish films. He also enjoyed a stint on UK soap opera Emmerdale. He appeared in the Mrs Brown’s Boys movie in 2014 and a short film 69 and Dead last year. He had survived bowel cancer in 2011 and was treated for skin cancer last year. He is survived by his wife Bairbre, 7 children and 17 grandchildren. Email “Beloved actor Frank Kelly has died aged 77”. 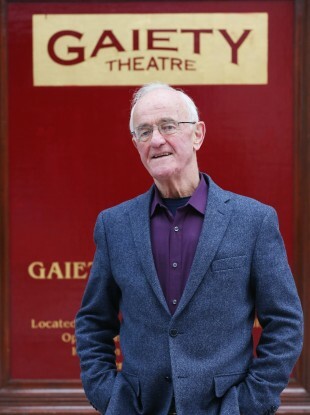 Feedback on “Beloved actor Frank Kelly has died aged 77”.